Observation notes: On host plant Big Deervetch (<i>Hosackia crassifolia</i>). Coordinator notes: Based on host plant, this should be the Bramble Hairstreak (Callophrys dumetorum) per decision by the ICZN petition I was part of. BAMONA has not yet corrected the names change. 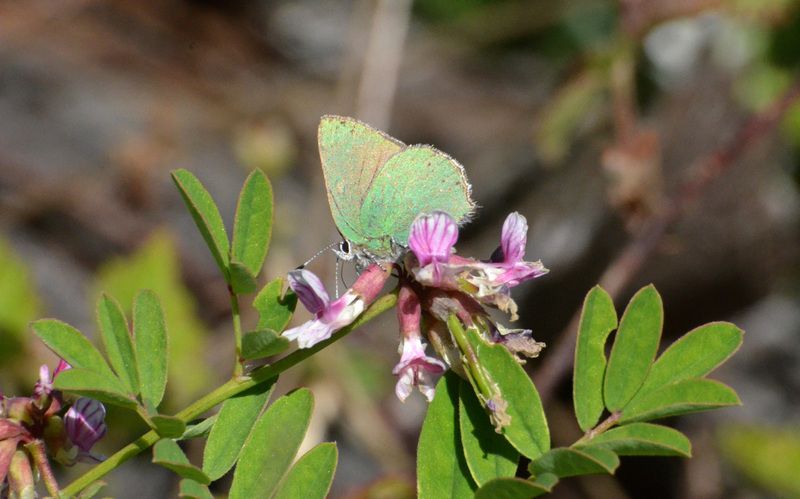 The Coastal Green Hairstreak is now Callophrys viridis again-Ken Davenport The green Callophrys are a group I have a lot of interest in, as does Jonathan Pelham and Andrew Warren.